I learned a lesson last Saturday: you can’t just a restaurant by its entrance. You’d think years of loving Jane Austen, Toni Morrison, and countless other classic novels regardless of the awful book art cover would have ingrained this lesson in me. 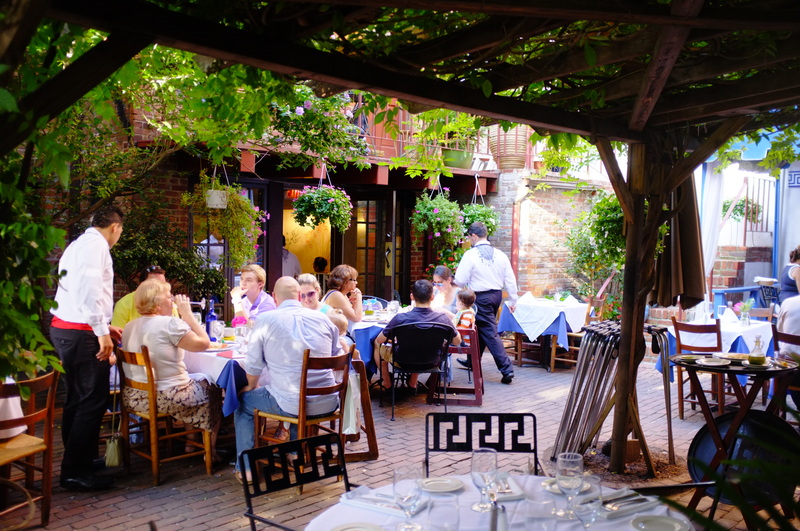 For years now, I’ve passed Taverna Cretekou on the cobbled sidewalks in Old Town Alexandria. Not surprisingly, I was always in search of a good meal, determined to venture closer to the water. Little did I know, I was missing some of the best Greek food I’ve ever had along with one of the best dining venues in the DC area. To say the Taverna looks unassuming would be inaccurate. A bright yellow awning covers a window that is replete with faded pictures of traditional Greek fare and is even decked out with a TV facing the sidewalk, playing scenes from a cooking lesson on rolling grape leaves circa 1990. Smack dab in the center of the window. To me, this doesn’t scream great culinary establishment and it usually would leave me running the other way. But step through that door and bam, it hits you. The restaurant smells like heaven and is bustling with servers and jubilant diners. I was there with my family to celebrate the birthday of a very dear family friend. The hostess immediately walked us towards a doorway at the very back of the restaurant, where I spied verdant greens and lush flowers with just a brief peek. The back patio was just gorgeous. Covered in vines and spotted with tables in every corner, the outdoor area gives one a genuine feel of stepping out of your villa in Santorini to take in the fresh air and indulge in a little baklava! With a serene surrounding, the food was nothing to keep quiet about either. 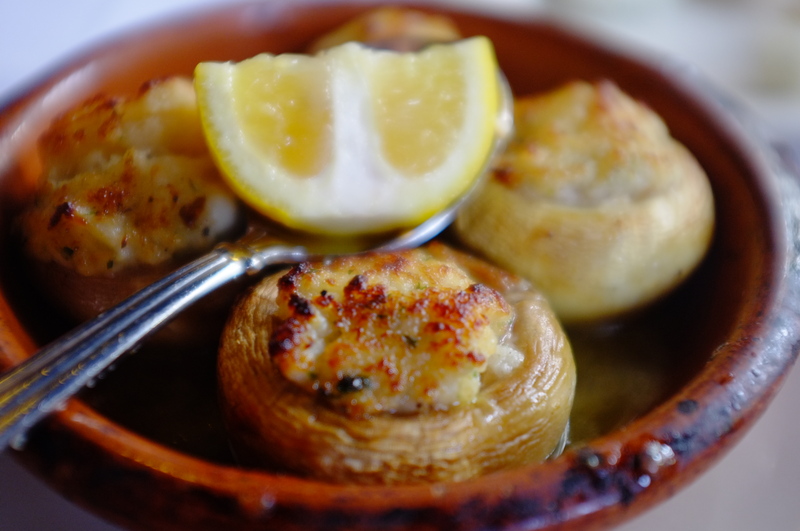 Taverna Cretekou serves uber-traditional Greek cuisine – there’s no beating around the bush. But, with just one bite, you can tell that the meats are of superior quality and they don’t skimp on flavor. 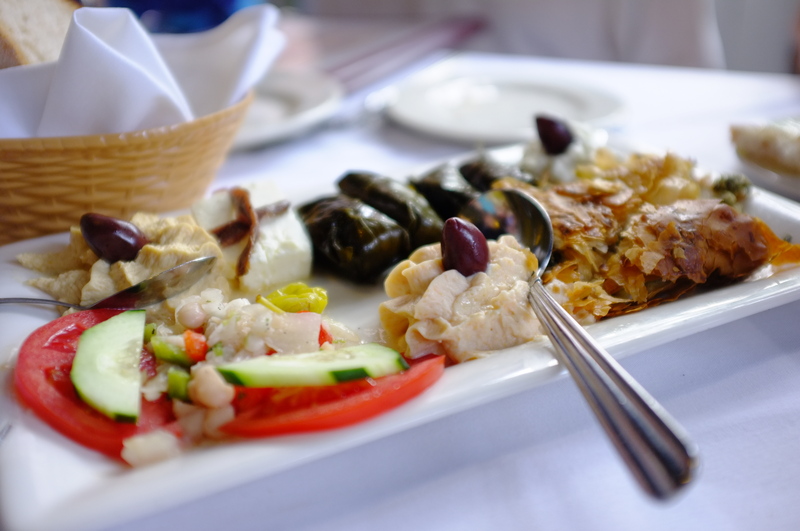 Our server, Dino, convinced us in his ever-charming way to begin with a platter of Greek mezze, including hummous, grape leaves, and other delights. Many of our fellow diners decided on the branzini – the special fish of the night, which they filet table side. My mom chose the pasticio, which had no fancy twists but was done just right. I myself chose the exohikon. I had no idea what to expect. Or how to pronounce it for that matter. What I received looked a little like an enchilada. Wrong dish, wrong country, wrong continent. My lesson from earlier in the evening had come back to haunt me. 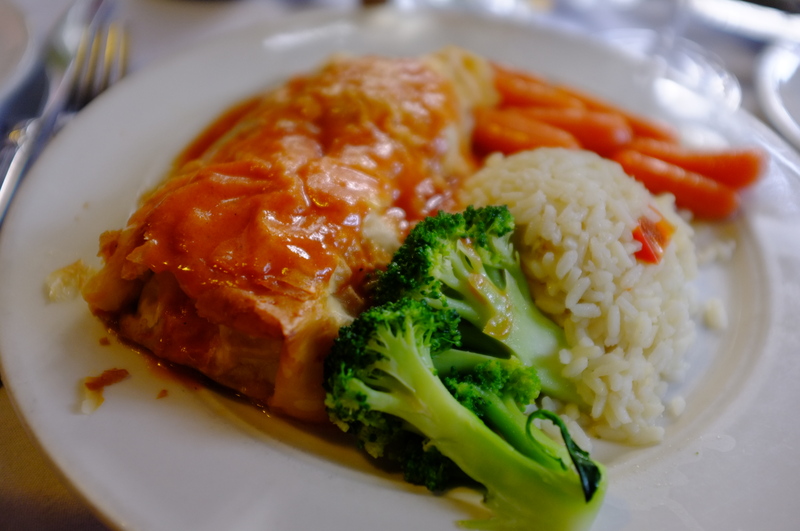 As I dug my fork treacherously into what I could only presume to be a confused pan-Continental Mexican-Greek dish, I happened to find inside a few layers of filo dough a delicious and juicy filling of lamb cooked just to perfection, artichoke, peas, carrots, onion, pine nuts and cheese. To top it all off, there was a sauce that I just couldn’t put my finger on. I can only guess that it may have been a tomato-sherry sauce drizzled over. In addition, Taverna Cretekou only serves Greek wine. Each bottle we had was delicious. I’d go back in a heartbeat to this great venue for gatherings with friends or a nice but not overly fancy date night. Oh, and the birthday party was a blast. Just goes to show you: you can’t judge a restaurant by its entrance, nor a dish my its doubtful appearance.